"Dennys, Lascelles Limited Annual", third issue, August 1927. 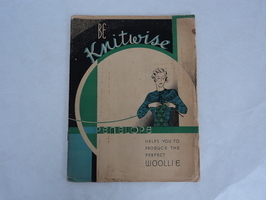 Annual publication produced by the wool brokers Dennys, Lascelles Limited and containing articles of general interest, as well as on wool related topics. On the front cover is a fine printed reproduction of a 1927 sketch by the artist Victor Cobb depicting the Dennys Lascelles wool store (cnr Moorabool and Brougham Sts; now housing the National Wool Museum).